Cats need high protein diets and proteins contain high amounts of minerals or "ash" (magnesium, phosphorous, calcium, and oxalate being the most troublesome). Cats also tend to have very concentrated urine making them especially prone to urinary crystals and other urinary tract problems. But many dogs have urinary tract problems too. Especially after middle age sets in. 3. Inflammation and infections associated with urinary crystals in cats and dogs. All of these conditions are discussed on our AnimalPetDoctor.com pages about urinary tract diseases, and all of these conditions can benefit from treatment with therapeutic diets. This page is about the different diets and supplements used in veterinary medicine to treat, prevent, and manage urinary tract infections, inflammation, crystals, and stones. Hills C/D MultiCare for Cats: Very successful at treating and preventing urinary tract diseases from recurring. This new formulation is good for all types of bladder crystals and stones and also stops pets from having recurring bladder infections. Contains controlled levels of magnesium, calcium, phosphorus, and oxalate to reduce building blocks of crystals and uroliths, as well as enhanced vitamin B6 to help decrease oxalate formation and excretion in the urine. Generates an environment that is unfavorable for the development of uroliths due to the addition of antioxidants, Vitamin E and beta-carotene. c/d® Multicare Feline is formulated to avoid excess sodium and has high levels of omega-3 fatty acids from fish oil that help break the inflammatory cycle associated with the most common causes of FLUTD. Royal Canin's Urinary SO for Cats: Also very successful at treating and preventing urinary tract diseases from recurring. This diet is a fine choice and recommended for those cats that just don't like the flavor of Hill's C/D diet or for those few cases where the Hill's diet isn't working. Formulated to promote increased urine volume and body water turnover, prevent the formation of both struvite and calcium oxalate crystals. Unlike Hills CD Multicare, this diet has high levels of salt (to increase drinking and voiding). Controlled amounts of magnesium, calcium, phosphorous, and oxalate. Hill's C/D Diet: Good for the prevention of struvite crystals and stones in dogs, but not appropriate for dogs with calcium-oxalate crystals. 2014 Update; this diet has been reformulated and is now okay for dogs with types of crystals and stones. Good at preventing recurring urinary tract bacterial infections. Urinary tract disease is associated with the build-up of crystals and stones in the urinary tract that can cause painful and bloody urination and potential blockage in your dog. 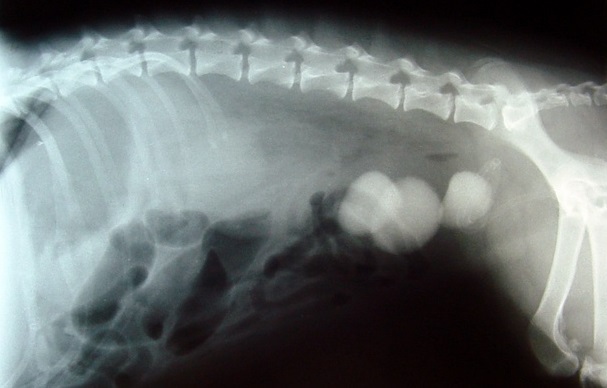 One type of crystal that forms in a dog's urinary tract is called struvite. Prescription Diet® c/d® dog food is formulated specifically to provide nutritional management of dogs with struvite-related urinary tract disease. Note: Certain diseases tend to respond especially well to therapeutic diets. These include kidney disease, chronic intestinal problems, and lower urinary tract diseases... the subject of this page. Note: The diets available in grocery stores and pet food stores that claim to "Aid in the prevention or urinary tract diseases" make that claim because they have added some form of acid (usually phosphoric acid) to the diets which makes urine in the pet eating the food more acidic. This does in fact, help prevent some types of urinary tract problems. But usually these diets prove to be inadequate. The therapeutic diets recommended on this page are far superior. Glucosamine: This neutraceutical is well known as helpful with the management of joint inflammation, but it's also good at protecting, healing, and soothing the delicate tissue lining the bladder and urethra. Omega Fatty Acids: Helpful in maintaining the health of connective tissue, blood flow, and repair of bladder and urethral mucosa. Anti-inflammatories: My favorite for cats and small breed dogs is Duralactin Feline flavored suspension which combines good relief from irritation and inflammation along with omega fatty acids. For bigger dogs I like Duralactin flavored tablets. Urinary acidifiers: (CranVet) Cranberry extract , when combined with herbals that soothe irritated urethral tissue helps makes cats and dogs with urinary discomfort feel better, helps prevent urinary crystals, and helps prevent bacteria growth. Xanex: every once in a while, anti anxiety medications help control the problem.